Competition is high for young people. 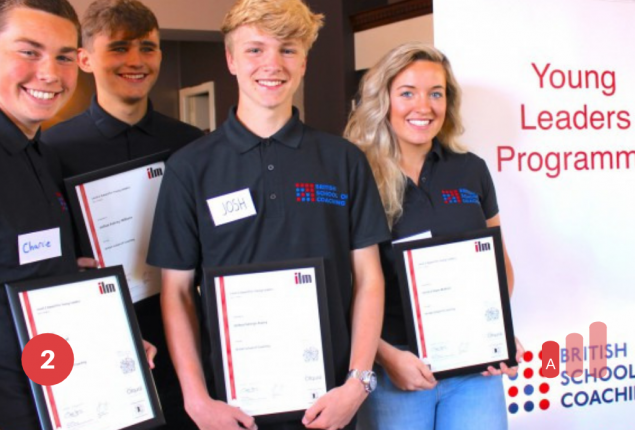 The Young Leaders Programme is completely unique, it gives young people the skills and recognition to set them apart from the crowd. Learners get a qualification that is recognised internationally, it’s concrete and meaningful in lots of different industries in the workplace and in education, and they also learn lots of practical skills. This programme is ideal for anyone aged 14-24 who wants to develop their skill set and attractiveness to employers. It is ideal for young people who are preparing for their next transition; whether it is to college, university, apprenticeships or a job. It is also a good ‘add on’ for those on an apprenticeship scheme, sports teams, youth clubs or for those completing the Duke of Edinburgh’s Award (or similar). • A highly interactive course with 2 days of lively, practical workshops per unit. Learners can complete between 2 and 5 units. • 1-to-1 advice and practical help from our expert coaches who have trained people from some of the world’s largest organisations. • All materials; handbooks, workbooks and access to a huge range of resources. • On successful achievement, an internationally recognised and respected ILM Level 2 Award or Extended Award as well as up to 9 credits on the Qualifications and Credit Framework. Each unit has 2 lively workshop days and learners do between 2 and 5 units. These days are packed with activities that are designed to focus on a number of essential skills. Between activities we discuss ‘What Went Well’ and ‘Even Better If’. Learners complete workbooks during the days to record what they have learnt; these workbooks are the assessments for the programme. It takes approximately 2 months to complete this programme. You will receive an internationally recognised ILM Certificate. This is accepted by Ofqual as being at Level 2 on the Qualifications and Credit Framework. Contact us for the next course date – please email Amy for information about this course and how to apply Amy@britishschoolofcoaching.com. For further information about individual or bespoke group programmes for schools and organisations to add to their CSR programme please contact Amy.